to suit the need to incinerate General Waste at the point of source. for the disposal of animal waste by-products at the point of source. need to incinerate medical waste at the point of source. necessary to complete independent work in the field. any waste incinerator to generate heat from lost energy. redundant heated air sensor eliminate excessive heat build up. 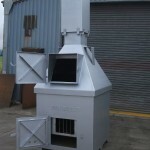 Burn-rite’s General Waste Incinerators are used to incinerate general waste material and has specifically been designed to suit the need to incinerate waste at the point of source. 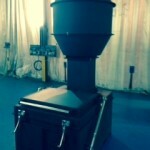 This compact incinerator was designed due to the increased demand for hygienic on site waste incineration. With the added advantage of virtually no smoke or smell problems. However, burn-rite are able to provide hot gas filtration, particulate scrubbing and mobile options if this is required. 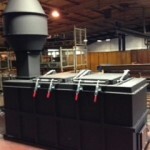 Long trouble free life is due to the robust design of all the models in this incinerator range. The latest range ensures strength of design and reliability. All of our General Waste Incinerators are CE certified which ensures that we have met the highest standards in safety and construction. 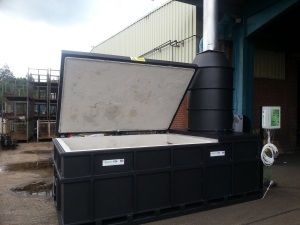 Advantages of using this incinerator is the cost of purchase can be recouped within one year simply by saving on skip hire alone. 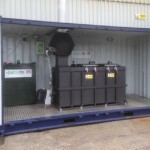 3 options are available to suit every application of incineration ( type 1, 2 & 3). We have recently procured two BR1180 incinerators for our overseas operations from Burn-rite and have found the incinerators to be far better than any product on offer locally. 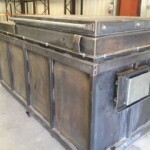 Burn-rite listened to our requirements and produced the incinerators to fit in perfectly with our mobile camps. We had a reduced time frame to get the incinerators into operation, and Burn-rite did all within their control to meet our demanding timelines. Your products have worked very well and we have never had any problems with them. We are highly pleased to be associated with you. Louizoni Ferretti ENT LTD has been awarded a fresh contract to supply the BR.360 to cover some Local Government Areas in the country. Burn-rite Ltd © 2019. All Rights Reserved.